Once again, Sonny Milano finds himself heading to Cleveland. On Saturday afternoon, the Columbus Blue Jackets announced that Milano was assigned to the AHL’s Cleveland Monsters. The team had to make a move with center Brandon Dubinsky coming off of injured reserve and set to play in Los Angeles. The roster was at 24. Someone had to go. Milano was the easiest move to make. Despite that, many fans of the Blue Jackets will not like this move. Milano was drafted in the first round of the 2014 NHL Draft. We are quickly approaching 2019. Yet, he hasn’t been able to stick with the big club for a full season even though he scored 14 goals in 55 games in 2017-18. Many are wondering what’s really going on here? Is there more to this that just a demotion? As far as I know, there really isn’t anything more to this story than that, a business decision. Milano has played in eight games this season scoring one goal. He was replaced in the Blue Jackets lineup by Markus Hannikainen. Coach John Tortorella said that he wanted Hannikainen in the lineup due to the type of play they were looking for. They were seeking a more hard hitting, in your face kind of game to restore their identity. Hannikainen has played well since his return. He looks faster and stronger and has given life to the fourth line. His play actually knocked Lukas Sedlak out of the lineup. With the return of Dubinsky, the fourth line in Los Angeles will be Hannikainen, Dubinsky and Riley Nash. But back to Milano. The Blue Jackets only have only two waivers-exempt players on their roster. One is Pierre-Luc Dubois. He’s not going anywhere. The other is Milano. Considering he has been a healthy scratch, it was the obvious move to make. He needs to be playing. At least in Cleveland, he can get precious top-six time. TRANSACTIONS: #CBJ have activated center @BDubi17 off Injured Reserve and assigned left wing @27SMiLano to @monstershockey. What Does the Future Hold for Milano? This is the question that fans are dying to find out. What does this all mean now and down the road for Milano and the Blue Jackets? Let’s address the first big thing. 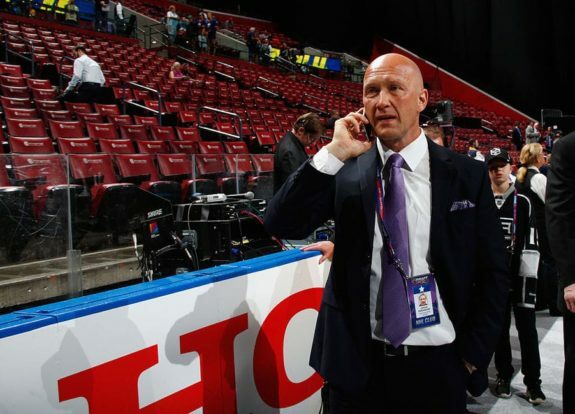 I do not believe that the Blue Jackets or Milano want a trade. In talking with Milano, Tortorella and management over the years, I think there’s an understanding by all parties as to what’s going on. Tortorella has said on numerous occasions that Milano must get stronger and must improve away from the puck. While that has improved, it hasn’t improved enough to carve out a roster spot. In addition, having newcomers Anthony Duclair and Riley Nash come in didn’t help Milano’s cause. That’s two more spots taken that could have been filled by him. As a result, the top-six (for now) is pretty set. The ideal situation for Milano is a top-six role utilizing his strengths. If he cracks the lineup now, it’s in a bottom-six role playing under 10 minutes a night. Now he can get into the Monsters lineup playing big minutes in all situations. For development purposes, this assignment was in his best interest. Moving forward, he could be staring at a prime opportunity. 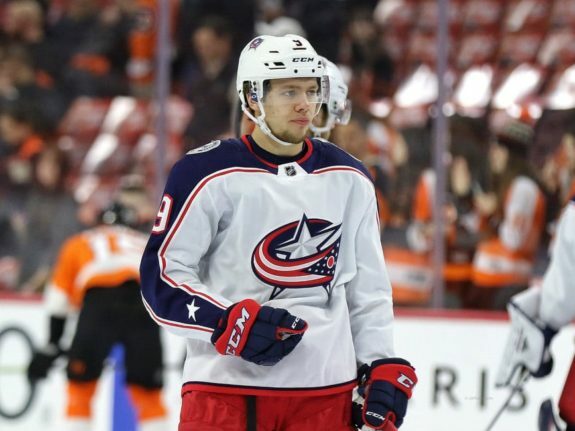 We know the Artemi Panarin situation will be a story all season and beyond. If Panarin is out of Columbus, there’s a spot that Milano could potentially fill. Whether he gets there or not is ultimately on him but the chance is there. Is it disappointing Milano hasn’t been able to stick? Yes. But circumstances dictated this. He is in the long-term plans of the Blue Jackets as of this moment. Trades and discussions could always come up later but for now, he’s a big part of this future. It’s best to have Milano play games rather than sit. Now he’ll get that chance most likely Sunday afternoon in Cleveland when the Monsters play Grand Rapids. Milano has handled this difficult situation about as well as anyone could ask for. It’s not fair but at least in public, he hasn’t shown it. He’s made his way back eventually every other time. I wouldn’t expect that to change this time either. He’s going to put in the work in an effort to be ready for his next call. Don’t count Milano out. He’ll be back soon and better than ever.